This entry was posted in Food Glorious Food, Rambles, Waffles and Digressions and tagged brownie, chocolate, coconut oil, easy, loving, recipe, spelt, wholemeal by cityhippyfarmgirl. Bookmark the permalink. Finding joy in sharing good food with good friends. Loving that. 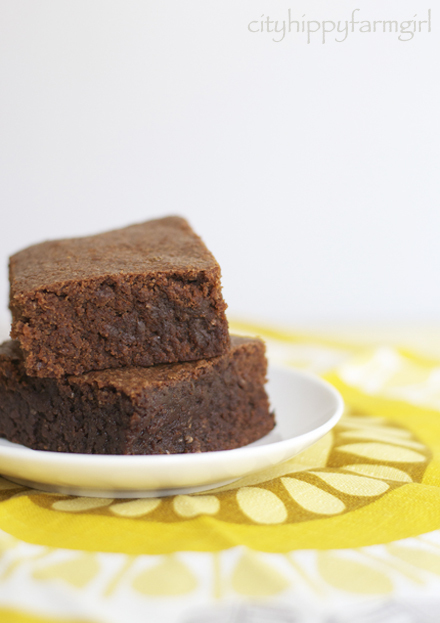 Your brownies look wonderful and chewy! I’ve never baked with spelt flour but I did just buy some coconut oil to try something new so I guess I will end up trying two somethings new. Loving that. Sharing good food with good friends is always wonderful isn’t it. Hope you have a lovely week. Sure sounds like a wonderful weekend indeed! It was 🙂 Completely recharging. Oh Jen…big breath indeed. It’s wonderful that he feels he can talk to you. Lovin this post. It makes you realize that things pass by and they need to be acknowledged. Tania doing these posts once a month, is a great reminder for me. Other wise they do pass by…far too quickly. Spending time talking to blog friends on Skype- loving that. Going to lunch for my nephews 30 something birthday-loving that. Making bread and birthday cards at the same table-loving that I still can! Reading a blog full of hope and promise- loving that! it’s good stuff spelt, I love using it in a lot of my baking now. It did me too Kari! I only realised on Saturday it was the last weekend…last weekend of summer too. Now how did that happen?? Looking forward to seeing what little moments have tickled you. It’s so very not the same is it. I like bending the paper back and forth, picking it up, putting it down, doodling on the side of it while I’m reading or talking to someone. Reading it on a screen is just not the same at all, no where near as relaxing! 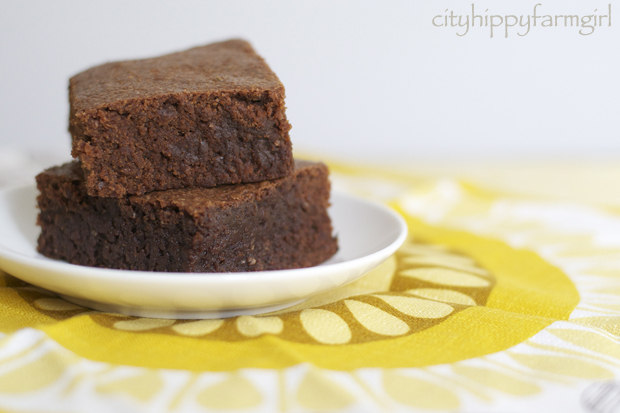 I’m working my way through a big jar of coconut oil, but hadn’t tried it in brownies – thanks for the inspiration! Ooo, spelt flour and coconut oil. What a nutritious, wholesome way to make brownies. They look really yummy too. Yay for spelt! I have a couple of wheat intolerant friends who have really got into this delicious grain… I’m yet to try it with brownies though. P.S my sourdough starter died I think… I didn’t feed it for a couple of days and then we had a terrible cold snap. It looks much less jolly (aka bubbly) now. Wah! I feel like a bad sourdough mother!